Perfect quality and very fast shipping. I recommend this website for anyone who is looking for a good watch! Fantastic watch, lovely to wear and looks mint. Would definitely buy another one. I recieved this watch as a xmas pressie and i couldnt be happier. 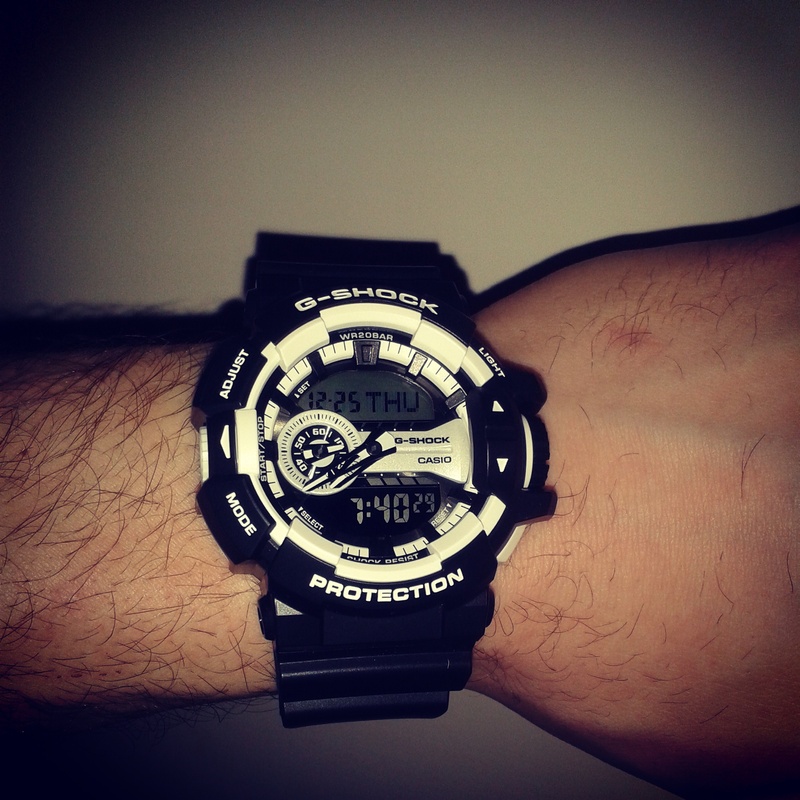 I am a big fan of G Shocks and this watch is brill. Its got loads of features and the white colour sets it off brilliantly. I would recomend 100%. Excellent watch. The white colour really sets it off. So happy i chose this one to add to my G Shock collection. Its a must buy for anyone and a big thumbs up to Watchshop once again for quick and efficient service. Excellent watch for what I require, excellent service and price was great. I use the watch for holidays as I can go on the beach and swim with it. It has excellent night time illumination and is much easier to use than other models. Furthermore all the information I need is displayed on the face of the watch. Love it just need time to read the instructions! Lovely watch, super fast delivery and everything as described! 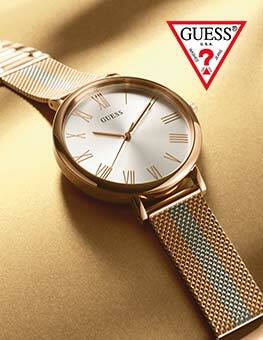 Very please will order again through Watchshop! of features and good value for money. This is not the first watch I have bought from Watchshop and definitely wont be the last. Their service is excellent, speedy delivery and very good price. Thank you Watchshop. Fab watch for on a building site. Previous watches all broke. Cant wait to try it out. 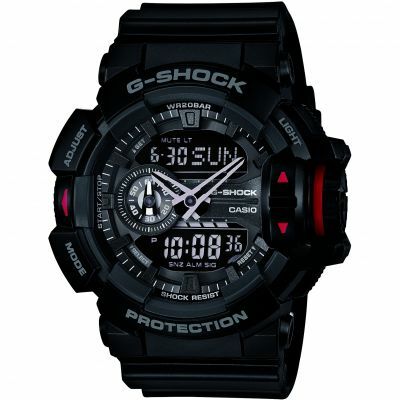 This g-shock watch is brilliant! Easy to function and set up and even sets the time itself when put into the correct time zone.. So many excellent features to this watch that make it brilliant. Recommend highly! Very nice looking watch, I personally wouldnt change anything about it. Really impressed with this watch. This is my second g shock. Seems they have improved the led light as I can see the display is complete darkness, on my previous model the led light was the only thing that let it down. Bargain price too at present. Very quick and easy to order. \r\nFast efficient delivery. \r\nIt was a Christmas gift for my brother who loved it. Next day delivery. That was awsome! I brought this watch for my son 13th birthday. He loves it nice looking watch. just what he was looking for.Defentily worth the money and see the smile on my son face. And as for the kids would say these days Sick Watch. Great watch at a great price with very speed delivery. Lovely buy! 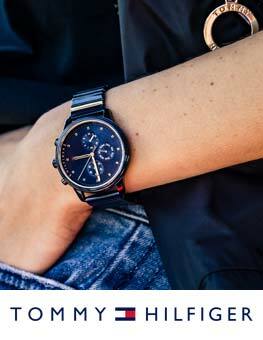 Very nice looking watch with lots of functionalities. Versatile for both casual and smart wear. It is a gift for someone so there is no review available for the product I bought. Anyway, I trust the brand. Excellent watch. Much cheaper than the shops. Very quick delivery and well packaged. Definitely well worth the money. Absolutely fantastic purchase, 100% happy with this watch. Bought for my husband for fathers day. He was extremely happy and pleased with the watch. He had it set up in no time and found the watch easy to use. The watch looks manly yet at the same time striking with the black and white contrast. My husband has said that the watch is very comfortable and the features easy to read. The watch is easy to use. Simply set up. No problems yet as Ive only owned it for a couple of weeks. Looks good, a little bulky, but this is arugula out door watch and not really intended to use in the office. Lovely watch bought for the hubby who was over the moon with it. well worth the money, colours work well and stand out on the watch. I would recommend the watch to anyone. Very bold style on the wrist, definitely stands out. Usual Casio quality, seems well made and durable. Love the look of it, only downside is that the busy face and Negative style lower LCD display can make it hard to read with a quick glance or in low light. Overall very happy and sits nicely in my G Shock collection. Great watch looks great and is exactly what I was looking for. Service was great, delivery was fast as stated at order! This watch is stylish .easy to set up and does exactly what it says on the tingreat item at a good price!!! I bought this watch for my bro. Hes always wanted a G shock watch. And with help from my husband we got it. My husband said its a good watch and he liked it when it came to our door. We thought it was a good bargain for the price remembering it was over £100 and then was £40 off to selling price. And yeah my bro hasnt seen it yet. But Im sure hell love it. 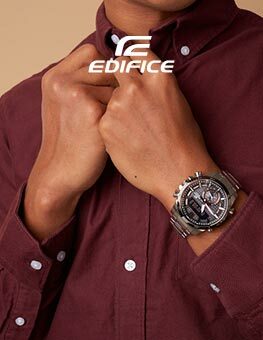 The only thing is because of the hands are the same color as the face on the watch it makes it quite hard to read at times. Thats the only downside to the watch. Bought this watch for my fiances birthday...what a fab purchase, he loves it! He works in a manual job and so this watch is just perfect, doesnt have a single scratch on it and he is forever banging it around. This also has soo many features, and clever little ideas, it is the perfect gadget watch. 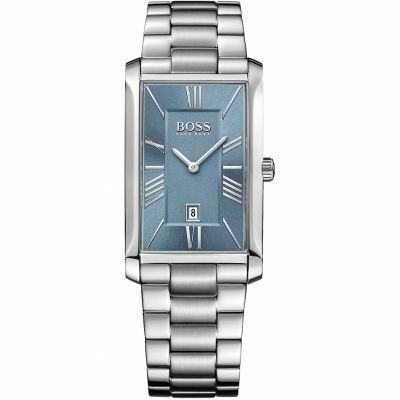 Not only is it a great watch for his working life, it also looks fab for an occasion or just general day to day wear. 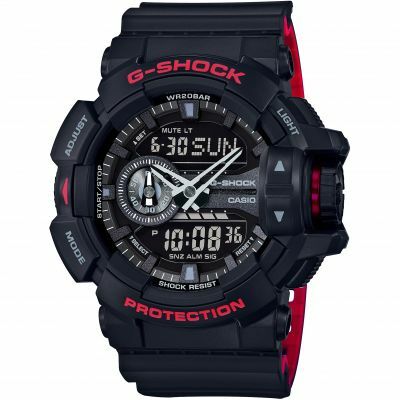 The G Shock looks great and its rugged construction is great for my job in the construction industry. The other features are useful too, such as the stop watch. The watch its absolutely beautiful. It was a gift for my boyfriend, since I gave him the watch he wear it all the time . The watch looks exactly like in the pictures from the website. Im very happy, Ive made the right choice buying this watch! Thank you!! Typical G-Shock quality, its reputation really does do it justice. 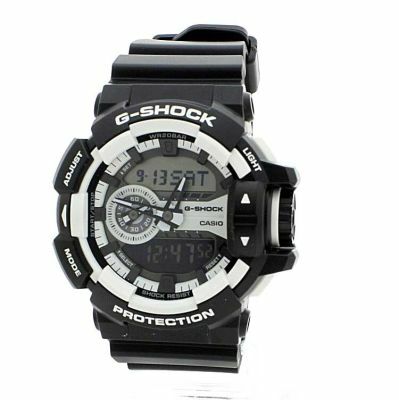 Fortunately with G shock watches design is not sacrificed in the persuit of toughness, build quality and durability. Putting this watch on my wrist oozes of quality and style, Im an avid G shock collector and this one, the black and white, is probably my favourite, some colour combos mean I have to wear it with certain colour clothes but with this one it goes with everything. Its nice and chunky and really catches the eye. The single thing that lets it down, and its only a minor gripe is that the hands clash with the colour of the dial so at a glance its hard to tell the time. Other than that, Im super happy with this addition to my collection. Highly reccomended. Bought as a birthday present for my boyfriends birthday, hes extremely happy with it. Excellent quality, shame the clasp is plastic rather than metal but still a professional finish. Good to have both hands and digital time, very practical watch for work as it is very durable. Second gshock i have bought from watchshop and i am very happy with the product and service. He likes the color combination, the black and white combination. The size is perfect and its light too. Quality watch price and service. Highly recommend. Good service. Good watch. Would use this service again. Very nice watch! Good value and fits perfectly. Fast delivery too. Although my husband didnt like the style as he said its quite the old style.. he wants it to get change but havent asked if its possible though... but for myself... really likedit.. The watch was not due to be despatched untl 30 January. It is a present for our grandson and is to be gift wrapped. A review therefore is premature. 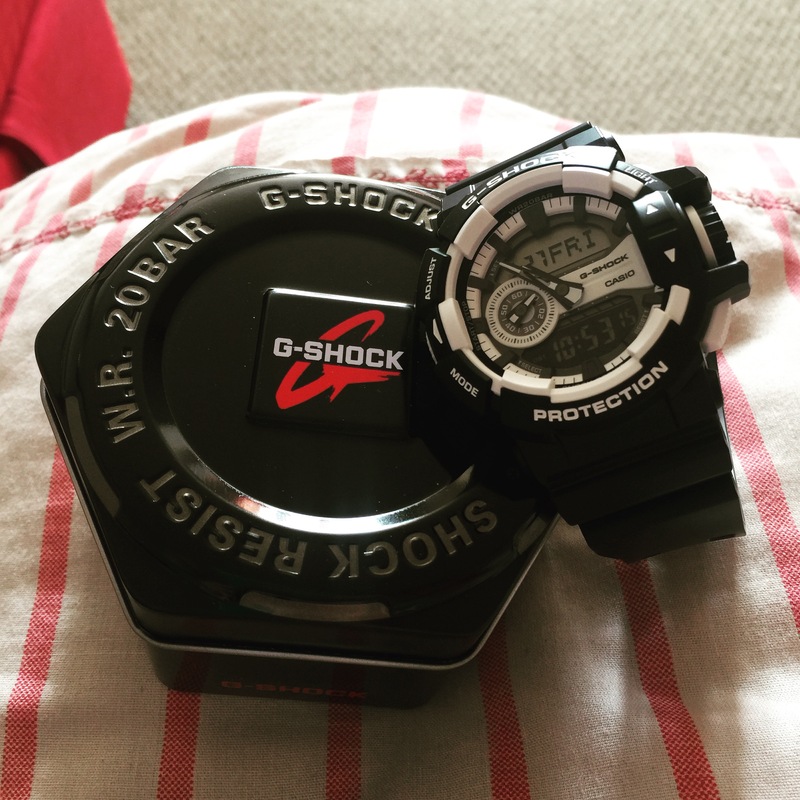 My first ever G-Shock and having a bit of a watch fetishist and many more watches this has to be the best so far. A great design and very good for work and wearing out, will definitely look to getting another one. excellent service, delivered as promised in time for Xmas in perfect condition. Excellent product -has been used for skiing and rowing and so far seems to do everything promised. Bought as a present which my son chose and he particularly liked the colour as it was a bit different from plain black or white. I bought g-star watch, black with white details. It was the xmass gift for my husband. I got this watch for chr and couldnt be happier with it. 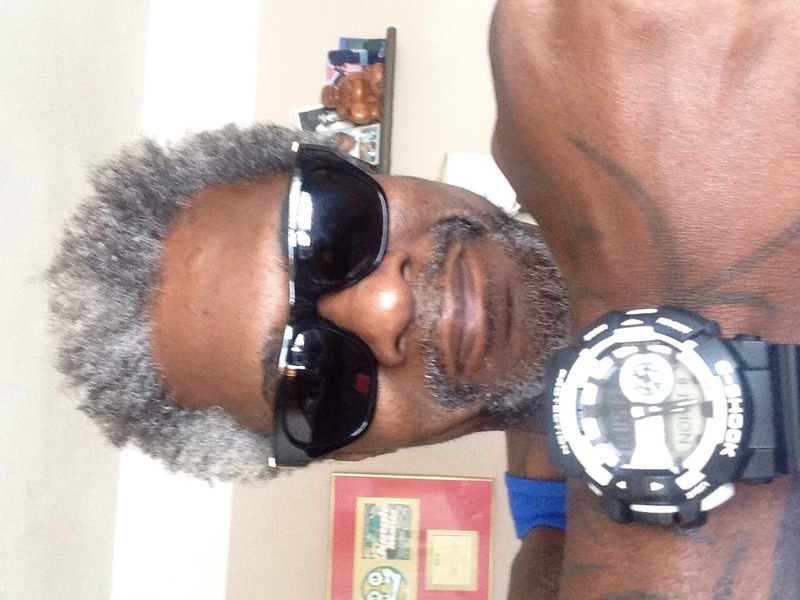 I have been after a G-shock for some time. I was looking at all white models but this one realy caught my eye and it looks fantastic on. The scroll wheel makes for easy navigation of the menues and functions. My only very slight concernbis that the buckle is plastic and on many other models its metal, im sure it will be strong enough for what I need. My son chose this watch for one of his christmas prezzies. This watch looks trendy and as described in listing was received promptly. beautiful, mans watch... amazing item ...excellent price... even better as there was more savings off price. fantastic watch for all ages. 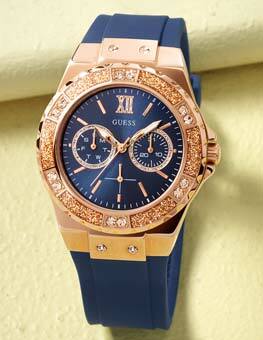 beautiful watch fantastic fast delivery. i would 100 percent order another watch from you. Lovely watch, bought as a Christmas present for my partner. The watch is stylish yet sporty and is great for most attire especially with the back and white colour of the watch. Yet another Master piece from Gshock, looks really Smart and fits well on my small wrist. I like them. It is for an personal use so its good enough for me. Really nice watch.